A super card Sylvie, such a wonderful scene. I'm sorry to hear that you have been poorly, I hope you are feeling much better now. Hope you are improving Sylvie. A lovely card and gorgeous scene you have created using these Cardio stamps. Hi Sylvie, sorry to hear that you have not been so well, hope your improving now. This is such a beautiful wintry scene, I love it! Hope you are feeling better now. A Beautiful card, love the colour combo. So glad I checked back a post as this is a fabulous card and such a great way to make a snowy scene look special. Love the splash of colour. Hope your feeling better now. I have been under the weather too and only just feeling like blogging. Hugs Mrs A. This card is so pretty. 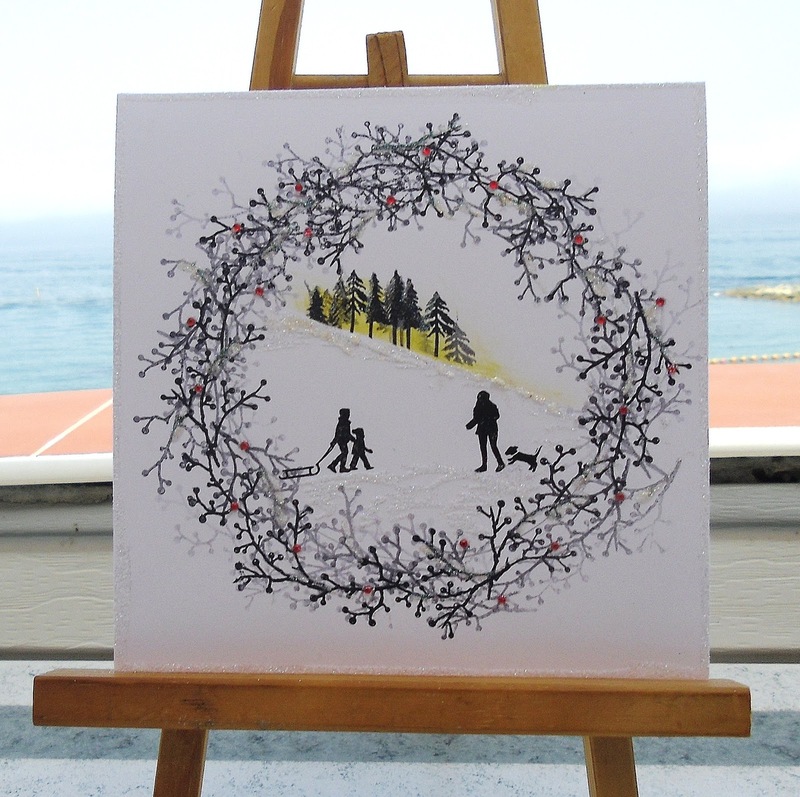 Your stamped image is lovely...I like that wreath framing the scene!